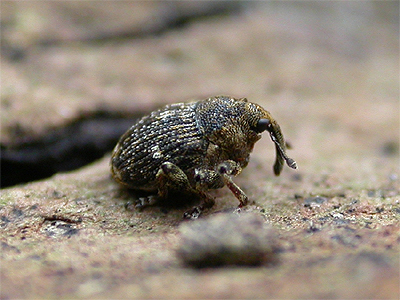 Another tiny weevil measuring little more than 3.0mm, which is commonly found on Nettles, but drop to the floor at the slightest disturbance. 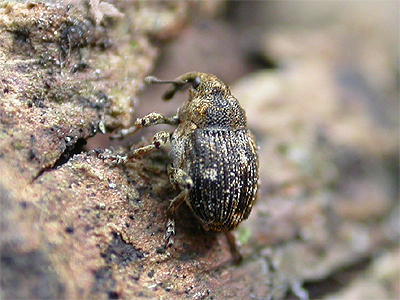 The two (often indistinct) white spots on the generally dark elytra, are just about the only distinguishing feature of this species. 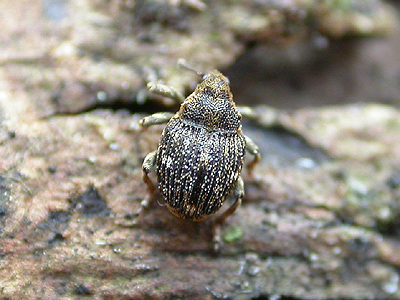 The specimen below, was found over-wintering at Sherwood Forest in February 2018, when seived from moss growing on a lump of concrete. 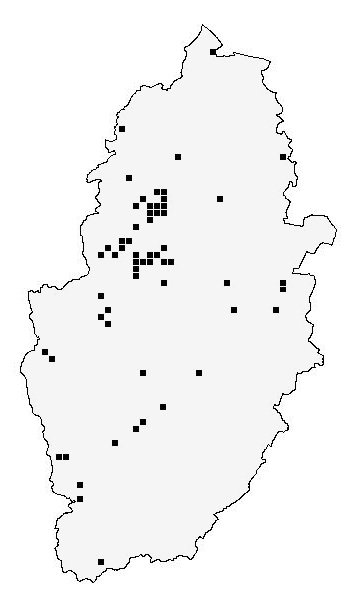 The records for the Nottinghamshire distribution map are currently provided by the following contributors - Trevor and Dilys Pendleton. Nottinghamshire Wildlife Trust. Wil Heeney. Natural England - Invertebrate Site Register 2006. Allan and Annette Binding. Tim Sexton. Peter Kirby (Bentinck Tip & Void Invertebrate survey 2007). Jim Flanagan. Charlie Barnes. 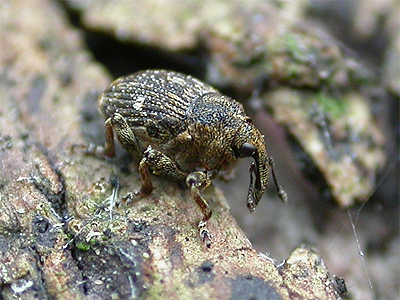 Adrian Fowles (Nottinghamshire data extracted from the National Recording Scheme for Coleoptera: Curculionoidea). NBGRC.